Our second Lieutenant Ramsey has quite the reputation as the 'fire eater' and has been in many duels that I myself have been present at, and several that I know of, by reputation only. It has been my experience that once a man gets a reputation of this sort, he spends a good deal of his time fending off those that would wish to 'out do' him, or bring him low. 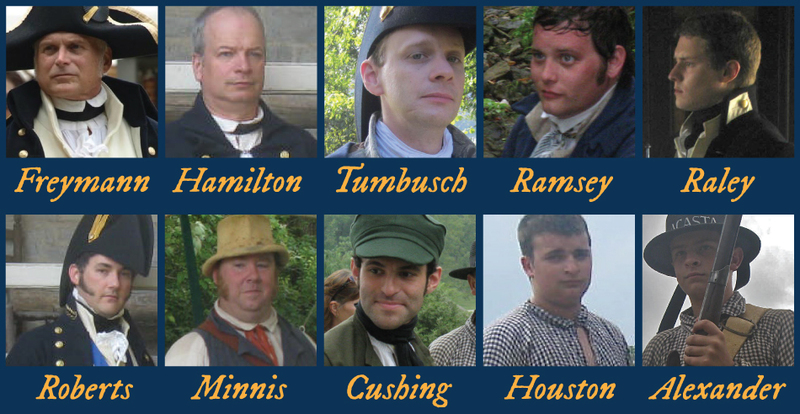 You may see more of Lt. Ramsey's dueling adventures by visiting his special page dedicated to that dreadful pursuit. This is the master’s mate writing for Mr. MacPherson, who has taken ill with the fever while caring for his daughter, who seems to be improving ever so slightly, but is still extremely weak. I do believe she will live, and I am giving her as much chamomile tea as she can sip, but now we are very worried for our shipmaster. There are six of us aboard. We have run out of the Peruvian bark, as Mr. MacPherson insisted we all take it preventatively, along with copious amounts of the aforementioned tea. Yet I believe he himself did not take any of the Bark, as there was not that much to be had aboard our vessel. I am returning your medical book, as Mr. MacPherson directed before he became quite delirious. He was most appreciative, and after reading the chapters you marked he was of the opinion we may have stayed too long up river where foul, brackish marshes may have infected us. You sir, have done us a service by lending us this book and now I shall return the favor by warning you about the dangerous miasmas to be found at the river mouth. I am off to find an apothecary that has Peruvian Bark for Mr. MacPherson, and in doing so, I hope to find a way to get this letter -- and your book -- back to you. We are indebted to you and Captain Freymann for your kindness and display of humanity during these troubled times. 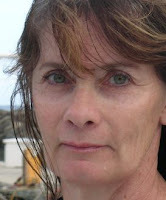 Linda Collison is the author of Barbados Bound, Surgeon's Mate and Star-Crossed, the young adult historical novel that inspired the Patricia MacPherson Nautical Adventure series. Collison's short stories and articles have been published by a variety of magazines. She has received awards for her writing from Honolulu Magazine, Southwest Writers Workshop, the Maui Writers' Conference,and the National Student Nurses Association. The New York Public Library chose Star-Crossed to be among the Books for the Teen Age -- 2007. With Bob Russell as co-author Linda wrote two travel guides: Rocky Mountain Wineries and Colorado Kids (Pruett Publishing). The husband-and-wife team has crossed oceans together aboard the HM Bark Endeavour and on their own sailboat. They met skydiving. Thank you very kindly for your attention to me in responding so promptly to my last letter. You would do well to teach my darling Fiance a thing or two. I understand he is quite busy with his duties, but I do worry so. You have done wonders to quell some of my worried by your reports that everyone is quite well, and for that I am quite indebted to you. Your stories and communications of the goings-on aboard the Acasta bring some light and joy to my otherwise dreadfully simple days. You have missed very little in the way of excitement here at home since last you left in October; nothing that would satisfy your tastes, anyhow. The weather has been unseasonably warm and mild, and I hope that it continues peaceful to wherever you find yourselves. I do hope that you find plenty to do aboard ship on those long days, and after the story in your last missive of Mr. Hamilton in a fit of rage at losing all his pocket money throwing half your deck of cards overboard, I have enclosed in this packet a new set. Have a care that he does not lose so many times, and if he begins to turn red about the ears, do be so kind and stow them safely out of his reach before he has a chance to turn this new deck into flotsam. I have got my hands on some new fashion plates sent from Europe and have enclosed all that pertain to you - do not mind that they are French but because of this war it is really all we can get our hands on at the moment. I have looked them over and I assure you there is nothing that ought to shame you for copying them. 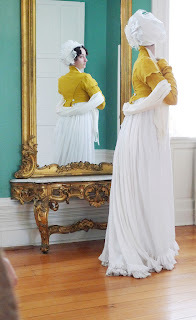 I have not had a chance as of yet to go into town and fetch for you the swatches of fabric you requested – forgive me but I have avoided the task until Mrs. Hegwood is well away for she has made going into town a most aggravating task due to the wedding. 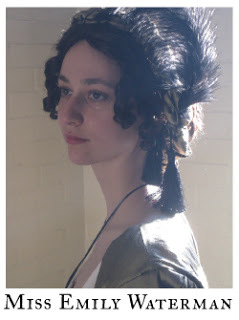 I shall go again presently as she is engaged to spend time with some of her family within the next week or so. I shall leave off as I have no other business to report – do urge the Doctor to write to me more if you possibly can. You too can get in on the fun of writing a letter to your favorite Acasta crew members, to find out how be sure to have a look inside the MAIL PACKET. I write today you to tell you of my intentions for this coming year so as to spare you any confusion or frustration when next you encounter me. My intention is to remain as 'in character' as much as possible during my travels for the coming year. There is no doubt in my mind that this will be difficult for me, but also for those around me; and I do not wish to alienate any of my friends or compatriots. Things will not be much different, I imagine, then they have been in the past... you've all met the Doctor during YOUR travels, and know the agreeable sort of fellow he can be. I want to ask that you all help me to do this by not trying to 'snap me out of it' by mentioning a bunch of modern stuff to me whilst at an event. I believe that enough of you have my email address and are friends with me on various forums, message boards and social networking sites... that any out of character conversation can safely take place there at any time. I tell you now that if you attempt to talk to the Doctor about movies, internet, cellphones and the like, he will be terribly confused, as any proper 1812/1813 gent SHOULD be. I daresay I will go one step further and challenge YOU to give your interpretation and character some thought this winter. It's no fun if I don't have a few of you to play along! Special thanks to everyone that has encouraged me (verbally & otherwise) to do this over the years, I look forward to the additional research that I need to do over the fall and winter to get me where I need to be... and the Doctor looks forward to meeting you in the year to come. In particular, I'd like to point out several of the gentlemen who have inspired me the most in my efforts at 'first person'. When I first got started in reenacting, it was Capt. Ebenezer Titus, portrayed by Hermon Stainbrook that really got me into the mindset of becoming someone else. He did it so well that it was quite some time before it occurred to me that 'Capt. Titus' wasn't his real name. Then it was Monsieur LeFarceur de Villevert, portrayed by Tim Nealeigh who really encouraged me along by introducing the idea that you didn't just have to be an 'old-timey' version of yourself while in character, and people would still enjoy what you were telling them. I didn't realize how much Tim's character had meant to me until he announced to me this past May that he was retiring the French Lace-Merchant. And last (but certainly not least) President Lincoln, as portrayed by Dennis Boggs, who not only gave me some of the most valuable business advice I've ever gotten, but showed me that the character you portray can be effortless and a very natural extension of yourself. Captain Freymann has detained the waterman that delivered your letter until I have finished this missive so as to be able to get this to you in a timely manner. Captain Freymann's compliments, but giv'n the current state of relations, he fears that he is unable to release me from my duties aboard the Acasta to assist you directly. It is quite a thing to find oneself considered 'valuable' in the manner of a commodity, but such would appear to be the case. 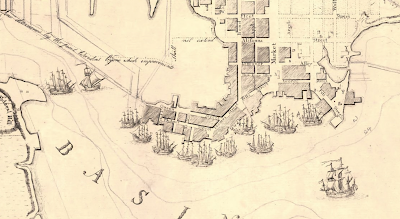 He is of the opinion that, even under a flag of truce, I would never make it past the forts between our current location and the Town of Baltimore unmolested. That being said, it is my belief that I may be able to offer some assistance from afar; please refer to the enclosed copy of Buchan's 'Domestic Medicine' in regards to your daughter's unfortunate illness. 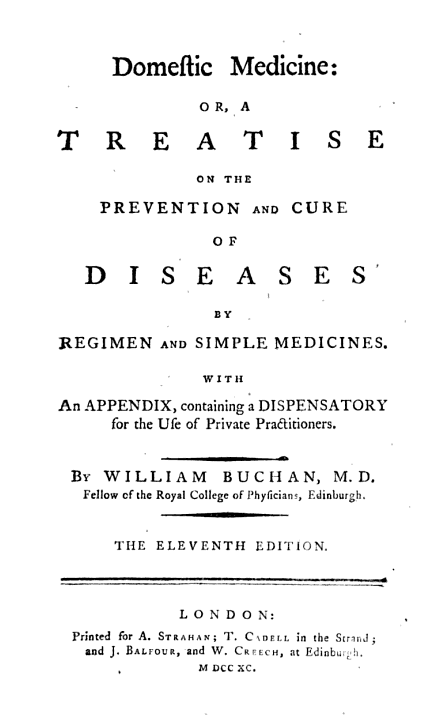 Please pay careful attention to Buchan's advices on Malignant, Putrid, or Spotted Fevers in Chapter 20, starting on page 195 wherein he lists his Regimen for the afflicted and suggests Medicines to combat the illness. I have always found Buchan's advices to be sound in the matter of putrid fevers. It is a hefty seven-hundred pages, therefore I have mark'd the portions that I think should pertain to your daughter's ailment. I trust that Buchan's suggestions, if followed, will see your daughter through this unfortunate time and returned to good health. My own advice would be to not underestimate the body's ability to heal itself in due course. 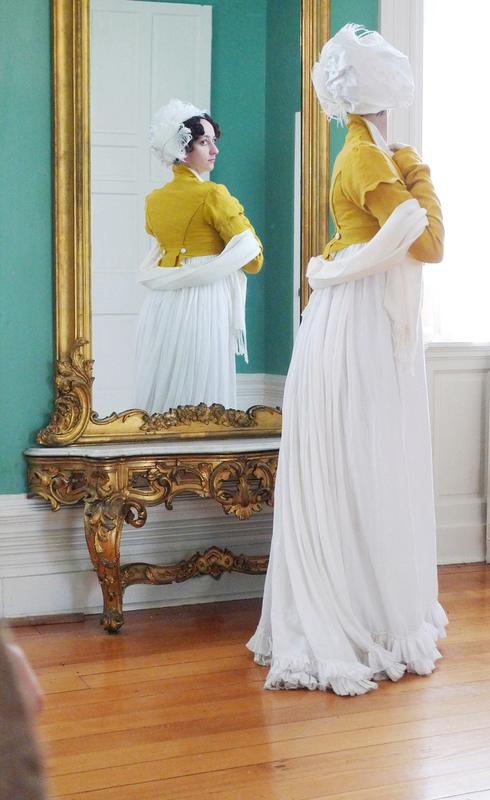 The scolding of your most recent letter is, I suppose, well deserved, as I have not written as I ought. You must forgive me my dear, but my duties have conspired to keep me from writing you. There is so much writing to be done over the course of the day, with the filling out of logs, forms, reports and such, that when I am finally at my leisure to do so, I scarcely have the vigor, much less the desire, to pick the pen up again. I know that Mr. Hegwood has very romantic views of the service, but you can not imagine how much mundane business there is to be tended to aboard a ship of war. If I had been thinking when I initially employed Vasserman, I would have made certain that he was a better writer so as to make use of him as a clerk in addition to his other duties. But then I expect he would demand higher wages, and that simply would not do. I do solemnly promise that I shall make every attempt to be a more faithful correspondent in the future my love. I was pleased to hear that Mr. Hegwood is in good health and spirits, and I shall infer by your description of Mrs. Hegwood's recent activity that she is also well. You will be gratified to know that we are reasonably well here. The weather here upon the blockade has been unseasonably warm, and thus has kept the usual cold-weather complaints and injuries to a minimum. We have been fortunate, in that, there has been little more than the average sort of illness and minor injury to deal with, things that I imagine would be common for Mr. Hegwood to deal with in his business with his farm-hands and horses. 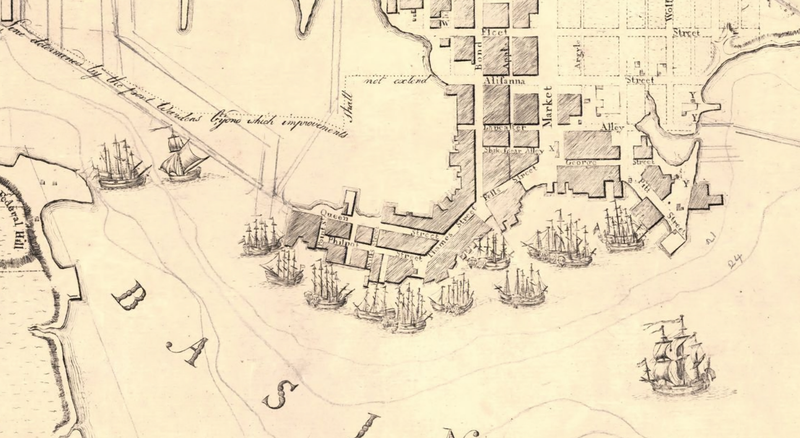 Since I last saw you in October, we have taken several American ships, the Privateer Two Brothers on the 26th, and a little schooner called Snapper on 5th November. Both should make for pretty little prizes and I suspect they will go quite a way toward paying for any additional wedding debt that Mrs. Hegwood might dream up for our affair. We have recently come into the company of HM Ship Poictiers under Capt. 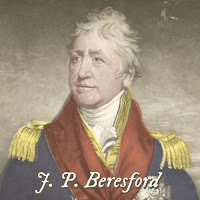 Sir John Beresford. The Acasta officers have been over to dine with Sir John and his people several times, and they set a magnificent table. 'Magnificent' by Naval standards, you must understand, is quite a different thing than what you should expect on land. Ones demands upon the quality of a meal are significantly lessened after a great deal of time on blockade. The Poictiers is very richly set up, and is easily the largest ship I have ever been on; in my mind, even bigger than the Zealous was when I served aboard her in '98. You will be gratified to know that I have seen to it that the announcement of our engagement has been placed in the papers as it ought. It will be quite the adjustment to call you 'Mrs. Roberts' after having gotten so accustom'd to calling you 'Miss Waterman' these many years. I shall do my best to rise to the occasion. I confess the days longer than they used to be since last we parted in October. Prepare yourself, for now I must scold you, for you do not write faithfully at all, and I must rely on Lt. Ramsey for any news of you should I desire it; you cause me to fret and worry over you so with these great swaths of silence from yourself. I must make you promise that when we are finally as Man and Wife you will do a better job at keeping our correspondence! Life here continues in a fit of do-nothingness, and short of making a few scant decisions, planning for the wedding has come to a halt. I try not to count down the days until next October, but I know you know me well enough to suspect my failure in doing so. Mr. Hegwood has suffered very little since winter has begun, thankfully, but on the coldest days he finds himself slower to rise in the mornings and should he sit for long periods with little animation he grows too stiff and requires assistance getting out of his chair and must move about until he is more comfortable. It has been very mild here, and I do hope for some snow soon. Last year, as you well know, since our winter was quite warm there was an excess of insects come spring time that was almost unbearable and caused the crops no small amount of distress. Mrs. Hegwood, you can well believe, has spent all of her time busying herself with preparations for the wedding that I must go behind and undo for I do not agree with them, and changing her mind from delight to perturbation that I had not chosen a better candidate (she had two or three in mind ahead of you, but do not take it to heart). I love the creature with all my heart and has replaced the position of my mother with great alacrity and skill, but her tastes are old-fashioned and differ from mine entirely, and we shall agree on nothing. It has rained all day here, causing us all to be low in spirits and heavy in our activities; or as it has been oft today lack thereof. I so wish to venture out for a walk and escape Mrs. Hegwood’s tiring employment of making unsolicited decisions on my behalf. You must not think me ungrateful for her help, for I certainly am not, I am only tired and made shortish of temper in my missing your company very dearly. Lt. Ramsey informs me in his last letter that the Acasta has been somewhat successful these past few weeks. I do hope that this success continues and that as little casualties are to be had as possible, for it does make me low to hear of such miserable things in the newspapers, and I live in dread of finding the names of any of our acquaintance among them, or worse yet your name. The dear Captain must be a truly formidable leader, though, and I trust in him as much as I can. As I have nothing else of any interest to tell you, our goings-on are hardly worth writing, I shall leave off with Mr. and Mrs. Hegwood giving all their love and wishes for a hasty return of yourself, and I send even more of mine to you. Do remember to write me; and my love to all of our friends aboard the Acasta. 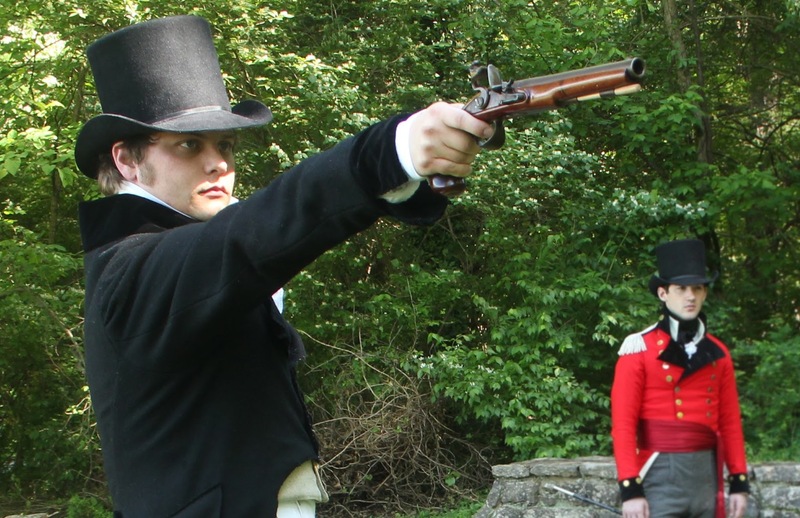 It's nearly the end of 1812 and the war is in full swing. 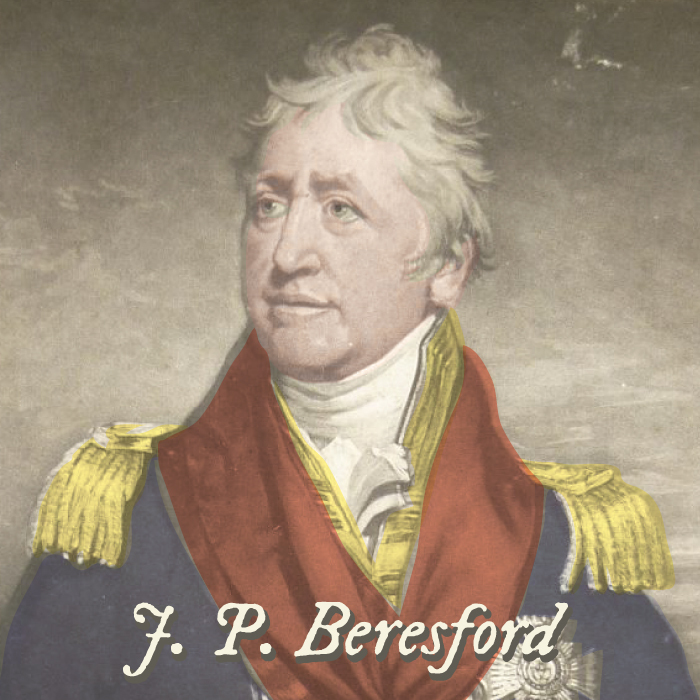 England is engaged in war on multiple fronts, the War in America and the war against the tyranny of Bonaparte. The Acasta, involved in the American blockade in the Atlantic, has received a mail packet from the newly arrived HMS Poictiers... what will it contain? We're going to let YOU the readers decide! 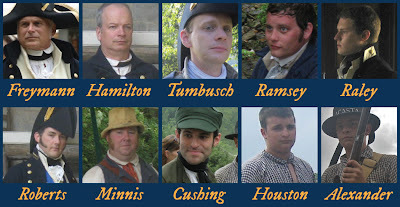 Write one of the crew members a 19th century 'period appropriate' letter and post it on your own blog. Be sure to include a link back to the HMS Acasta so others can get in on the fun! Please be sure to leave a comment in THIS post with a link to your letter so we can find it! FOLLOWERS who do NOT have blogs of their own to post their 'Letter to the Crew' in , may take part by sending their letters to the Doctor's email, ahroberts4 [at] yahoo [dotcom], we do this in an effort to have more of you be able to participate. Your letter can consist of anything that you might write your friends or family about in the 1800's, be creative! Suitable letters may be chosen to be posted here on the Acasta site, and could be answered as well! Here's an example of just such a letter from Capt Bertani to Capt Freymann a little while ago. Writers whose letters are chosen for publication here in the site will be selected based on the 'period-correctness' of the content and creativity of the 'letter' that you write. The more interesting and creative, the better!